Recently, Infinix pushed the official Android 8.1 Oreo OTA Update to Infinix Note 4 devices, but it is unfortunate that update filled with bugs. Most of the Note 4 users that upgraded their device to Android 8.1 Oreo are complaining about bugs such as slow battery charging, battery draining fast and much more. The worst is the X-charge ⚡ that does not work properly. Well, it is not a big deal, first updates most times are likely to have bugs. It is certain that Infinix will surely push another update to fix the issues, but if you can’t exercise patience till then or you think you can’t cope with the bugs from the Note 4 Oreo update, then you should consider downgrading to the previous version which is Android 7.0 Nougat. Recall that I always advised you to have a backup of your previous firmware whenever you want to upgrade your device, in case you decide to revert back. However, those of you that don’t still have the backup should use the stock ROM Firmware provider here in this post for that purpose. In that case, you have to download the Infinix Note 4 stock ROM based on your phone built number before you upgraded otherwise you may brick your phone. 7. Browse to your vcom extracted folder and select the driver setup up file and click open, then ok.
1. 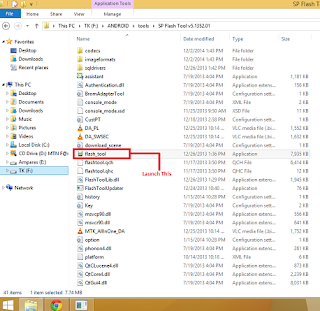 Now connect or reconnect the USB cable to the phone with the PC while the phone is still off, Windows should pop up and begin to install the MTK65XX Preloader Drivers, this only happens if you installed the Mediatek Preloader USB Drivers correctly in Windows. After they successfully installed, disconnect the USB cable again. 2. Extract SP Flash tool on your computer and launch it. 3. 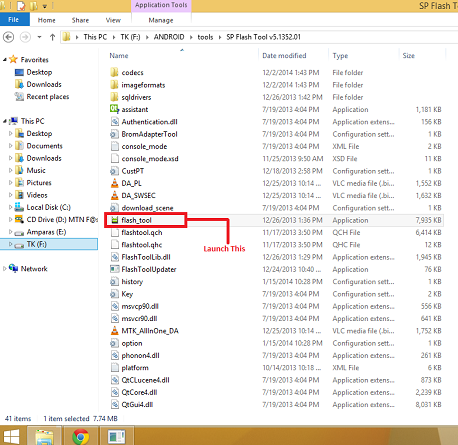 Open the folder you extract it to and locate flash_tool, double-click on it to open. 6. Hit the “Download’ button in SP Flash Tool to begin the flashing process. 7. Switch off your Phone and connect it to your PC using USB cord. 8. A progress bar should start running. The phone will be downgraded on booting-Make sure you don’t tamper with USB at this point. 9. Once the Flashing is complete you will see a green circle confirming… With Download OK.
10. Close the SP Flash Tool and disconnect your phone from the computer after the above confirmation. Finally, go to settings>about to confirm that your Note 4 is running the stock ROM you’ve downloaded. That’s how to downgrade your Infinix note 4 back to Android Nougat.